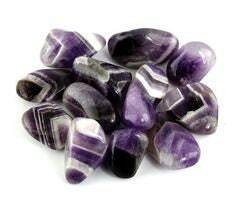 Banded Deep purple, white and violet Chevron Amethyst stones. 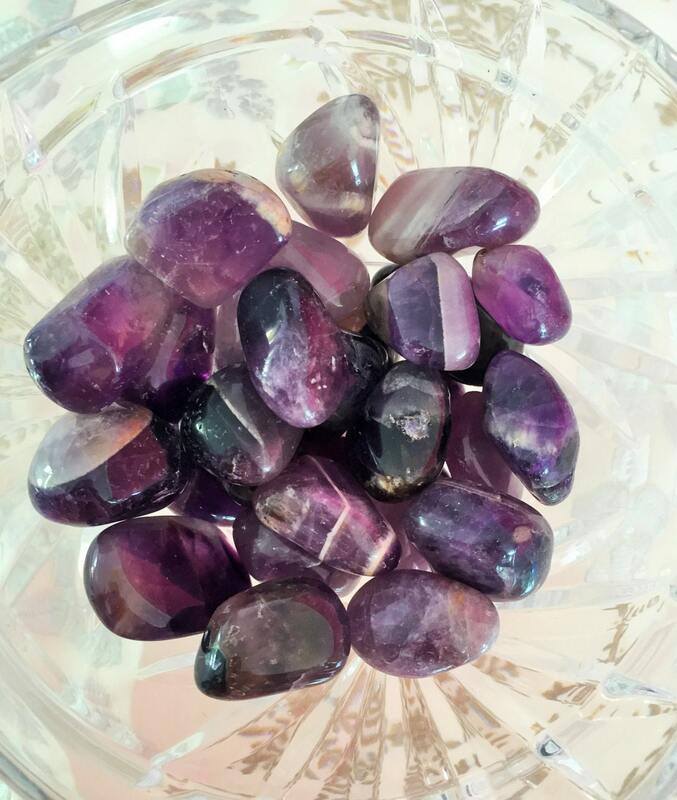 Great for balancing the crown and third eye chakras- it's a perfect addition to any collection or crystal grid. 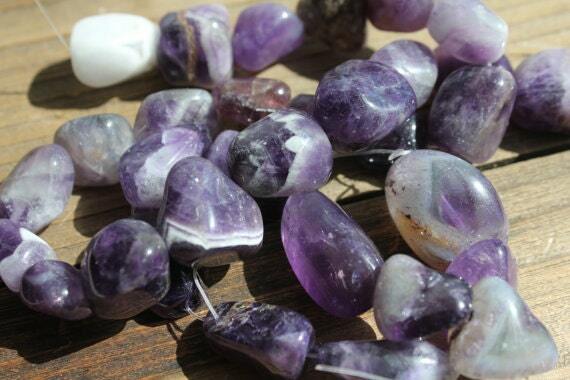 Listing includes 10 Amethyst Crystals. 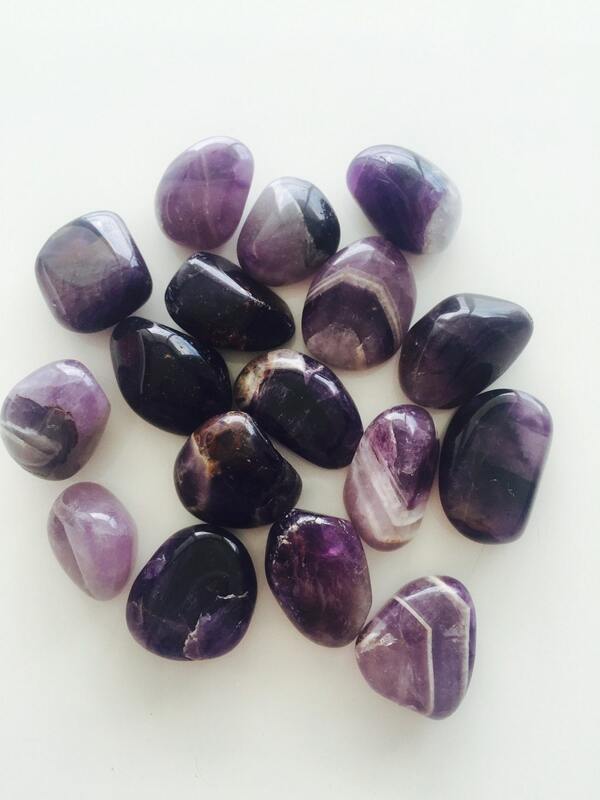 Amethyst is a meditative and calming stone which works in the emotional, spiritual, and physical planes to provide calm, balance, patience, and peace. It is a crystal whose energy can be multifaceted. It is often seen as gentle but it can be surprisingly strong. 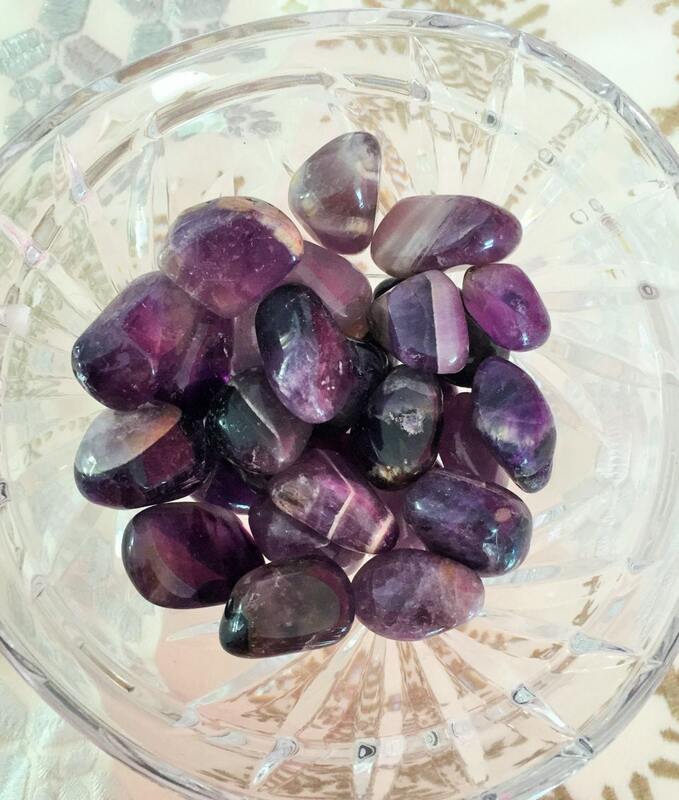 I love my crystals; they are exactly as described and what I was hoping to receive! Shipping and delivery were super fast too, and all items were securely packaged and in perfect condition. Thank you! !